Artfully handcrafted by the skilled craftsmen, Samode Trunk Coffee table is detailed with brass finish nailheads, contrast wooden paneling and corner guards. 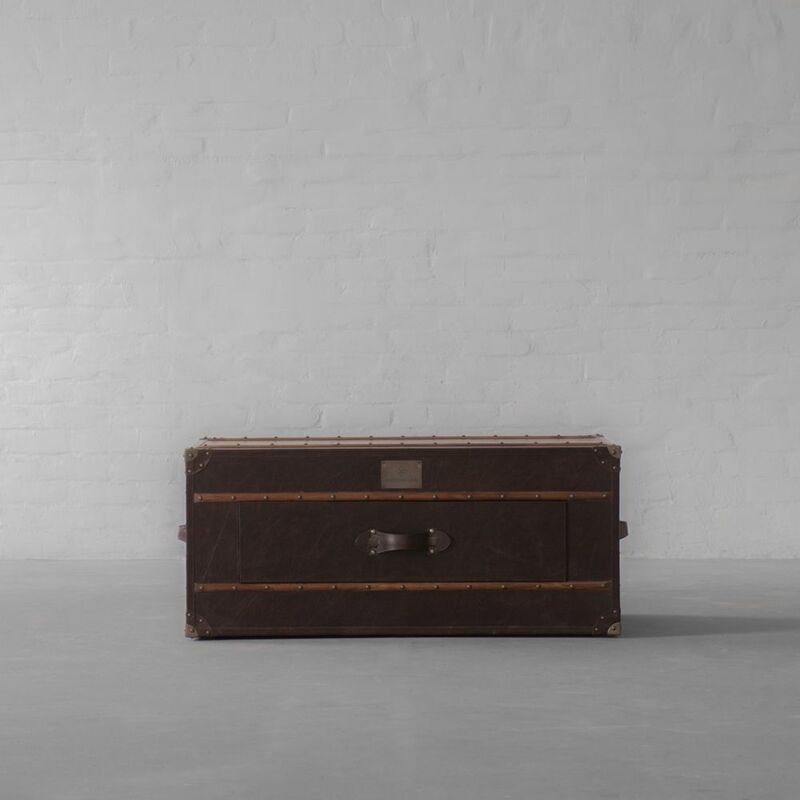 This piece resembles vintage trunks that have been repurposed to serve as occasional coffee tables. The two wide storage drawers allow stow space for magazines, cushions, throws, games and more. 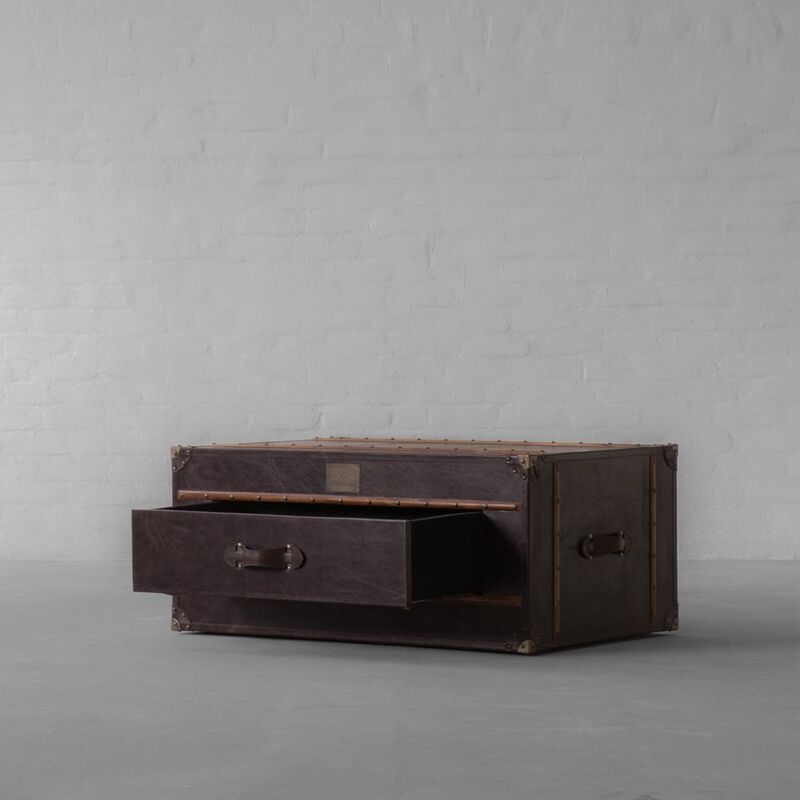 Place this exquisite trunk in your living room or bedroom to create an unparalleled classic look.